To kick off our list of 100 affiliate marketing tips and tricks, we’re going to start off by talking about commissions. Where better to start than with the money that’s going into your pocket, right? But before we begin, I want to ask you a question. 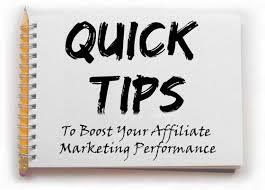 What is your average commission rate for the affiliate products you’re currently promoting? If you’re working with Amazon or another large retailer selling physical goods, then chances are you’re dealing with commissions in the 4-8% range. Let me tell you from experience, it is hard to make a full time living when you only make 4% per sale. One of my first affiliate marketing websites was promoting jazz piano books. A fun little niche to be in, except that when I made a sale, my commissions were 4-6% of products that sold for $15 or so. In other words, I would make pennies per sale, despite all the work I put into promoting the site! Even if you’re promoting higher end products that sell for $100-200 each, you’re still only making a few dollars for each customer you send. That’s not exactly my idea of a good passive income! A much easier way to go is to aim for products that pay 50% commissions or higher. Think it’s impossible? Think again. In fact, many digitally-delivered products pay upwards of 50% commissions. The products tend to be small pieces of software or digital information products, like ebooks or online courses, where the cost of acquisition represents the main business cost, allowing the owner of the product to give you a strong commission while still earning a profit himself. Those economics simply don’t work when you’re talking about most physical products! So where can you find these products? For information products, Clickbank continues to be one of the leading providers, with thousands of different products to choose from across thousands of popular and profitable categories. Whatever your niche, you’ll likely be able to find a product to promote within it.